His real name is Dariusz Romanowski. Music is his world - there's nothing more beatiful besides. Such attitude lets him develop his music skills day by day. He's been into music since 1998, when he began to work on music programs available that time. His music wasn't first so impressive and trippy so after some time he decided to change the engine and equip in hardware. 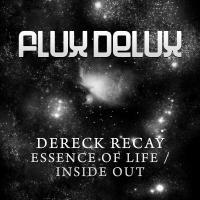 Dereck says that he doesn't negate any music genre, but the greatest thing is the passion and climate which bring him trance and subgengres connected to it, with pressure on euphoric uplifitng. Releases of Dereck: in the beginning of 2008 he released his first signle - Hydrolook (Communicate rec. ), and after some time, another tune called Aquarius - which appeared on Infrasonic Summer Sampler. In the end of the year Dereck released also Dream Way which was a part of a Redux Rec. sampler. This track has achieved support of many big guys such as Armin Van Buuren , DJ Tiesto Aly&Fila or Daniel Kandi..